*I was sent these products for the purposes of this feature, however, as always, all thoughts and opinions expressed are 100% my own. Everyone has their own Christmas traditions, things that make the festive season that little bit more special for them. 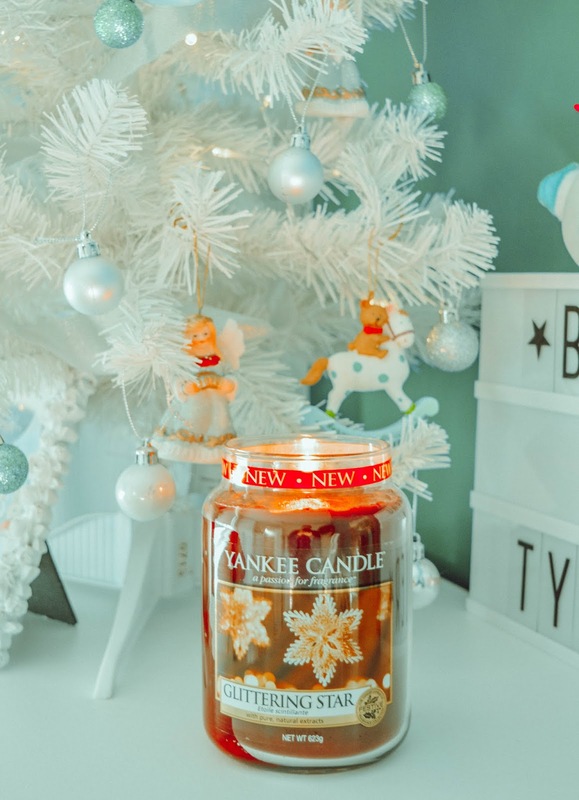 One of my Christmas traditions is getting festive scented Yankee Candles, to burn all throughout Christmas and have our home not only smelling lovely, but creating a cosy atmosphere with candles lighting in the sitting room. I always have their 'Christmas Eve' candle burning on Christmas Eve. It wouldn't be winter, or indeed Christmas, without a candle or two burning, would it? 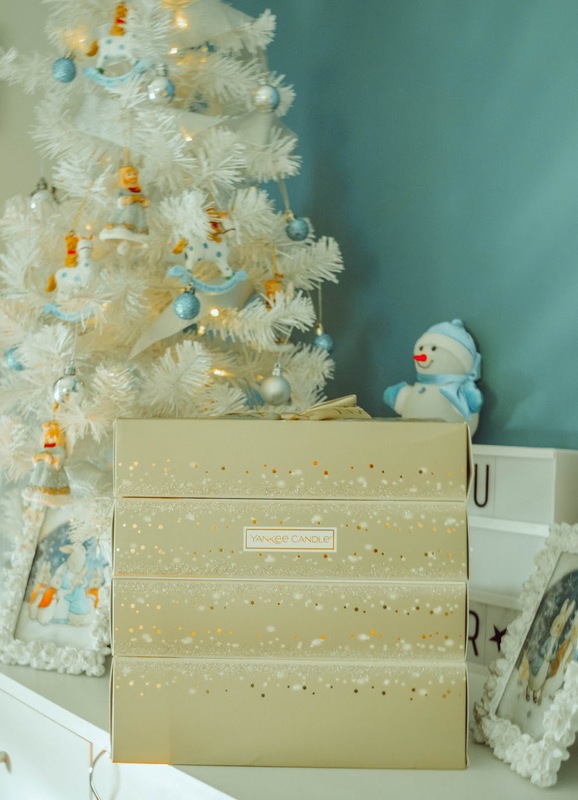 I have been buying Yankee Candles for years and have featured some of my purchases on the blog before, but this year I'm trying out something new from the Yankee Candle range - an advent calendar. I've never had a special advent calendar before, one with anything other than chocolate in it, so this is going to be a real treat for me to open everyday in the run up to Christmas. The advent calendar I have is the Fold Out Advent Calendar (£34.99), which comes with a mixture of votive and tealight treats, as well as an exclusive dot/star votive holder. I'm really looking forward to burning a new scent each night and getting to try new scents from the Yankee Candle range. 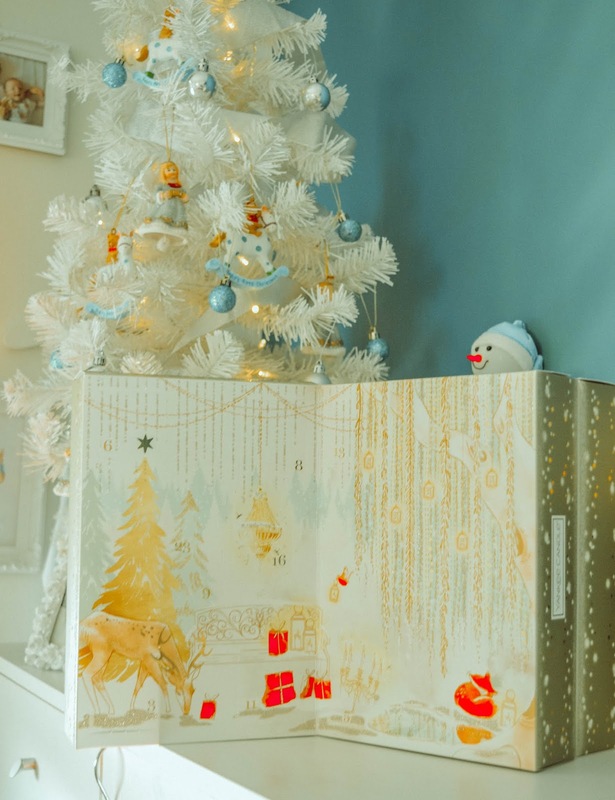 I just love the sparkle of this advent calendar and the design of it is so lovely too. It's one you'd be more than happy to have on display in the run up to Christmas. Yankee Candle have lots of new gorgeous Christmas candles this year and the one I chose was Glittering Star (£23.99). This is a shimmering fragrance that gives sandalwood sparkle with sugar plum and ginger. I have this candle burning in the evenings and it fills up with sitting room with it's gorgeous, Christmassy fragrance. There are so many other fragrances that I want to try from this new Christmas range as they all sound lovely.